Companies of all sizes, and increasingly retailers, are implementing integrated portfolio management solutions to make smarter real estate decisions and solve their business challenges. 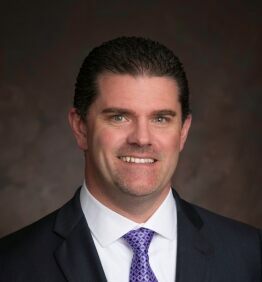 To better support retailers with their real estate portfolios, JLL today announced that it has welcomed back Geno Coradini to the firm as Executive Vice President, Retail Integrated Portfolio Services (IPS) Lead, where he will be responsible for working with our retail tenant representative brokers nationally to support JLL’s retailer client base. Prior to re-joining JLL, Coradini spent the past two years as Vice President of Real Estate and Market Optimization for Advance Auto Parts Inc., the largest automotive aftermarket parts provider in North America. Coradini joined JLL when the firm acquired The Standard Group eight years ago. Later, upon joining the Retail Group, he was part of our retail outsourcing services group and was instrumental in winning several key accounts for JLL. Categories: Americas Retail, Retailers, Tenant Representation and tagged Geno Coradini, JLL, retail, retailers, Tenant Rep.